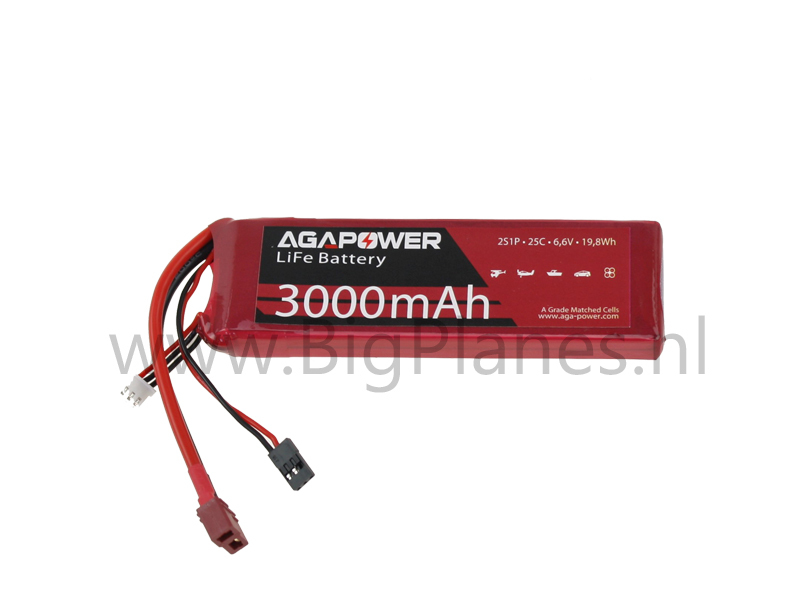 Excellent to supply the power for the receiver and the servos of a big plane. With ~12 cm wires, Deans, JR and a 4 cm JST balance connector. Power for 40% Plus size aircraft is possible with only 1 pack on board! We advice however to always add a second battery for backup purposes.